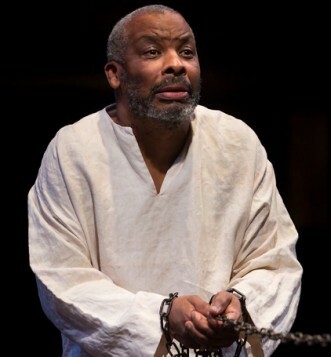 King Lear may divide his kingdom with disastrous results, but the play is uniting United Kingdom theatres this year. Following the Scottish referendum, and with a vote on leaving Europe forthcoming, questions about breaking up old political ties weigh heavily. 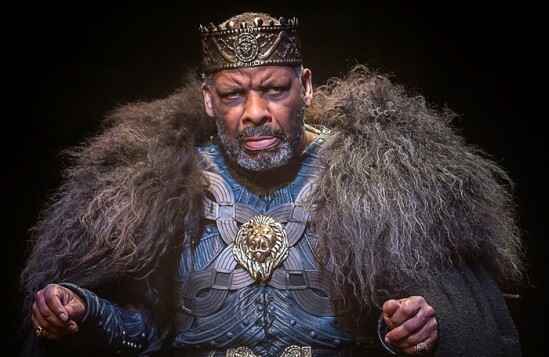 On consecutive nights in the same week, there have been productions of King Lear in Northampton and Manchester, the latter by Talawa Theatre with Don Warrington in the title role. There are further versions ahead in Bristol and at London’s Old Vic. 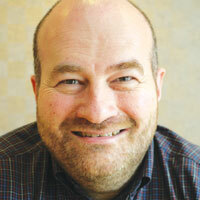 The latter will star an actress, Glenda Jackson, in the title role. 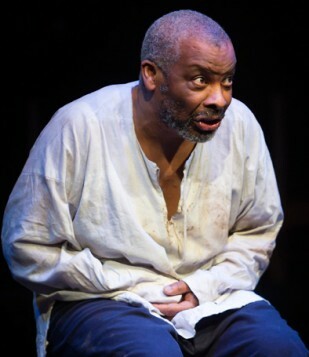 Meanwhile Talawa Theatre Company, which self-describes itself as Britain’s primary black-led touring company has cast Warrington in another towering example of the diversity that now lies at the heart of British theatre, following hard on the heels of the Royal Shakespeare Company’s first black Hamlet. 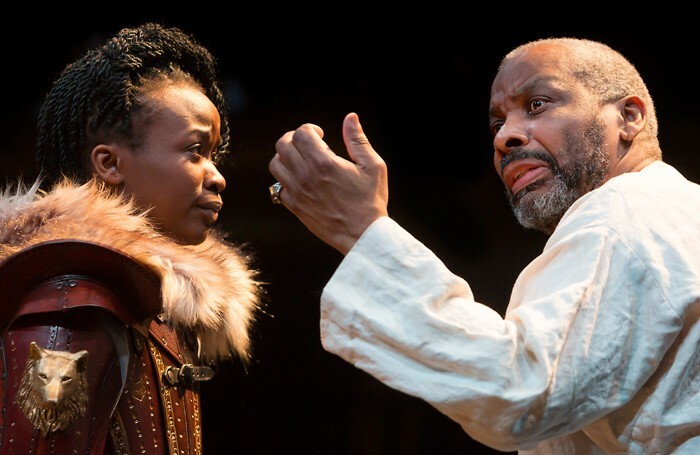 Talawa’s production isn’t an all-black version of Lear – they have included some striking white actors among the company too – but this is first and foremost Lear’s play, and Warrington seizes and owns it with magnetic, majestic power. He has a raging gruffness as he surrenders himself, you sense unwillingly, to his daughters – and a fast realisation that it may have been mistaken. Warrington charts his journey through heartbreak to acceptance with real dignity and ultimate heartbreak. Meanwhile the political power struggles are played out with a sweeping intensity, with Rakie Ayola and Debbie Korley as his scheming older daughters and Mark Springer and Norman Bowman as their respective husbands reaping what they sow, but not before leaving a trail of destruction. There’s a particularly chilling realisation of the scene in which Cornwall brutally blinds Philip Whitchurch’s Gloucester with his bare hands. But there’s also great tenderness in the production, not least in Alfred Enoch’s beautiful portrayal of Gloucester’s eldest son Edgar, especially when in disguise as Poor Tom. Warrington’s Lear is also attended by Miltos Yerolemou’s striking, diminutive Fool, who gives the play some of its redeeming humanity. Next to the wooden ‘O’ of Shakespeare’s Globe, the glass-enclosed ‘O’ of the Royal Exchange makes an ideal public forum for watching Shakespeare. The stage has to be stripped of dressing to be legible in the round, and director Michael Buffong, his designer Signe Beckmann and lighting designer Johanna Town instead conjure a great deal of atmosphere on a simple tilted wooden gravel disc, lit by flaming torches, lamps and haze, while Tayo Akinbode’s pulsing soundtrack keeps up an ominous commentary of its own.